Tequila is delicious, and when using a respectable 100% agave spirit, cocktails don't need much to complement the herbal, sweet, and spicy flavors. These simple three-ingredient drinks cover all the bases, from margaritas and agave-enhanced classics to nostalgic throwbacks like the Tequila Sunrise. Seriously, thank you Mexico. 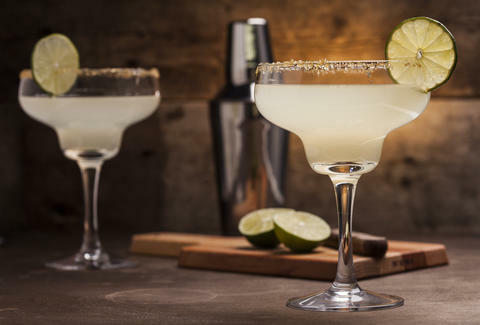 This minimalist margarita is quickly becoming the margarita of choice thanks to its tart and crisp flavor that lets the tequila shine. There's no orange liqueur to worry about, just sweetener (simple syrup, honey, and agave all work well), fresh lime juice, and a good blanco or reposado tequila. If you only learn to make one cocktail, it should be this dangerously good party starter. Combine all ingredients in a shaker over ice, shake to chill, and strain over fresh ice. Salt garnish optional. Boozy and stirred, this classy drink is especially fun at upscale parties as the tequila gradually takes over and turns everyone wild. Suggest this for an office party as a sophisticated way to enjoy the holiday and revel in the mayhem that ensues when everybody actually listens to you. If you ever wanted to get intel from a co-worker or boss, this is the perfect prelude. Combine all ingredients in a lowball glass with ice, stir to chill, and dilute slightly. There is no shame in this drink (or the underrated Kurt Russell movie), even though it only still exists on cruise ships where time has been perpetually stuck in the early '90s. Actually, there's probably a hipster bar somewhere making this with fresh-squeezed organic OJ and homemade grenadine, which sounds pretty tasty. An easy way to introduce tequila into the system, this drink is for those who are unaccustomed to the strong flavor of the spirit but still want all the fun that goes along with it. Pour tequila and orange juice in a tall glass over ice, stir briefly to combine. Add grenadine and watch as it sinks. So pretty. Like a sunrise. Or Kurt Russell. This cocktail kills two birds with one stone: delicious tequila drink, plus hydration. An especially good choice for those who are currently nursing yesterday's hangover, as well as those who are working on tomorrow's. Contrary to popular belief, this is not a diet-friendly beverage: even though it is low in calories, it often leads to high-calorie snacks like tacos and burritos. Pour the tequila over ice in a tall glass, fill with club soda, squeeze in lime wedge, and enjoy. Hailing from Mexico, the Paloma is one of the most refreshing tequila highballs out there. For that grapefruit flavor, you can use soda like Fresca or Squirt, or something naturally tart (and less sugary) like Q’s Grapefruit. Don’t forget a squeeze of fresh lime and a salted rim. Combine tequila and lime juice in a highball glass with ice and a salted rim. Add grapefruit soda and garnish with a grapefruit slice. 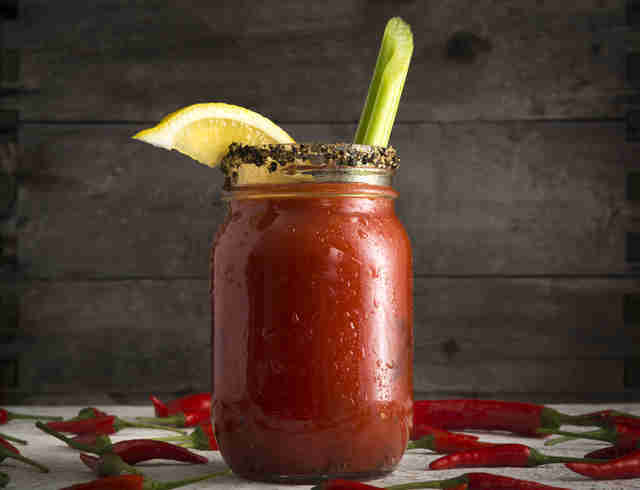 How do you make a Bloody Mary better? By replacing the vodka with tequila. This rule of thumb applies to almost any drink that uses vodka. The combination of spicy tomato juice with tequila is so natural that you'll wonder why this brunch staple was ever made with anything else. Combine all ingredients in a tall glass over ice, stir, and enjoy your brunch. Tequila for dessert! Satiate your sweet tooth with this tasty, boozy concoction of decadent cocoa and coconut liqueur (and of course tequila). The cocoa flavor complements the aromas of the tequila, while the coconut delivers a rich texture for sophisticated and delicious sipping. 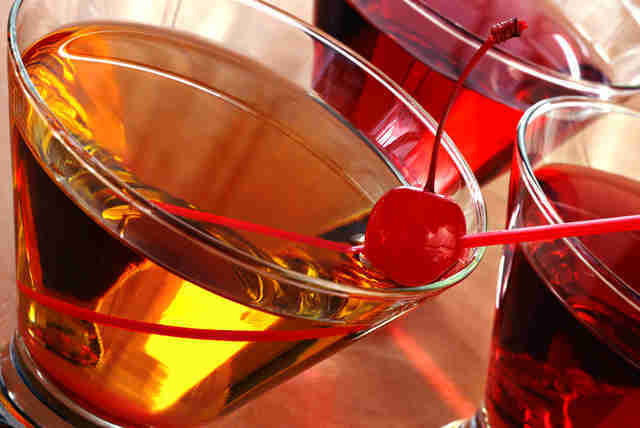 Pour ingredients into a mixing glass, add ice, and stir gently. Strain into chilled glass and garnish with speared piece of amaranth. 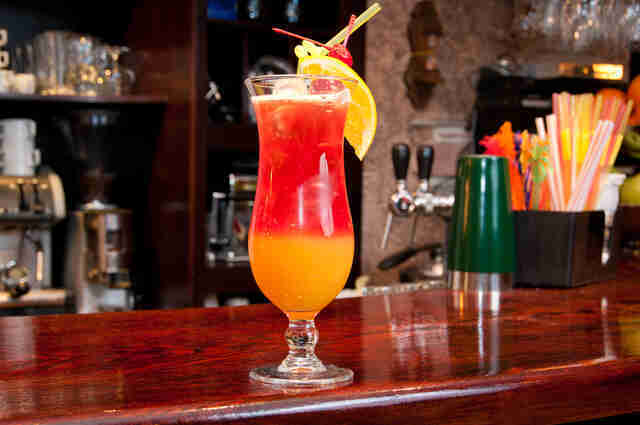 This cocktail was born from a last-ditch attempt to sell vodka, which was so insipid that it needed to be mixed with other ingredients to be palatable (which is pretty much how vodka is still sold today). 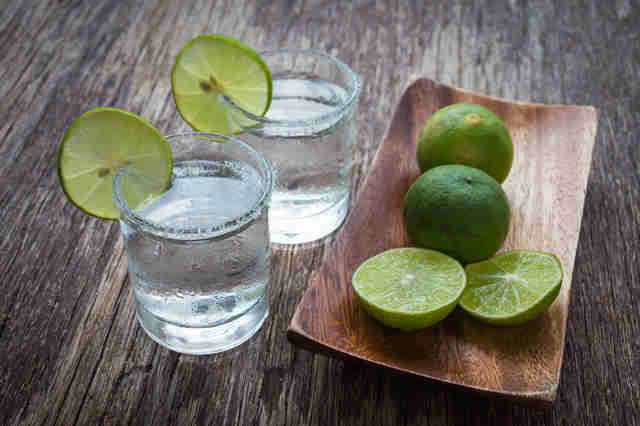 Like so many things that come from Mexico, tequila is immensely flavorful and complex, and makes a drink that's much more than palatable when combined with these two ingredients also native to the land. 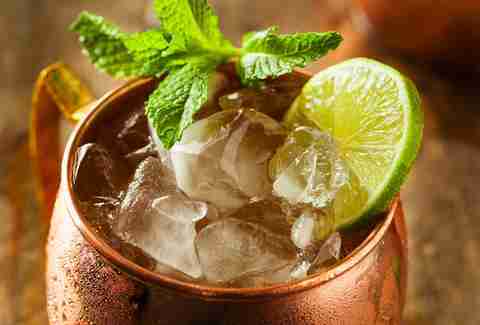 Combine all ingredients in a highball glass (or copper mug, if you're fancy) over ice, stir gently. It’s sweet, it’s salty, it’s tart, it’s everything you’ve ever wanted in a tequila cocktail -- no blender required. This sipper, a cousin to the margarita, gets its name from its salty rim (you can put a dash of salt in the drink, too) and the Mexican city/state of Chihuahua renowned for distilling top-notch tequila. Okay, we’re done with the moniker lesson now so you can get to mixing, drinking, and impressing your guests. Combine tequila, triple sec, and grapefruit juice in an ice-filled shaker and, well, shake it. Add ice to a salt-rimmed glass, strain cocktail mix into it, and garnish with a grapefruit slice. The Spanish word for the agave heart, from which tequila is made, means pineapple. 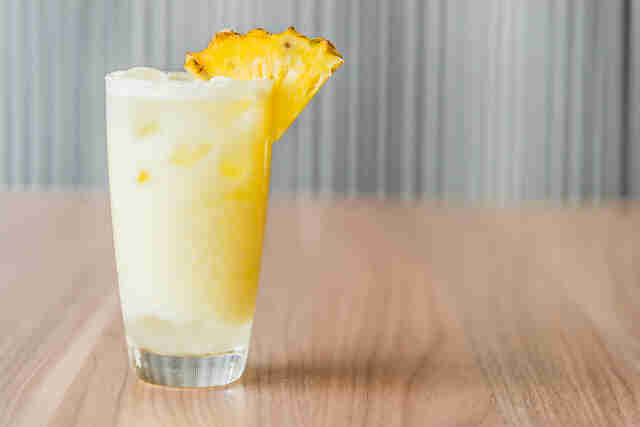 They are natural companions, so combining pineapple juice with tequila is a no-fail way to impress your friends and make them think you are an expert mixologist even if you know nothing and it is literally the first drink you've ever made. You're welcome. Combine pineapple juice and tequila in a tall glass over ice. Stir to combine, top with club soda. Whiskey is the drink of choice when you want to listen to Hank Williams and cry, tequila on the other hand, is a jovial spirit for parties and socializing. 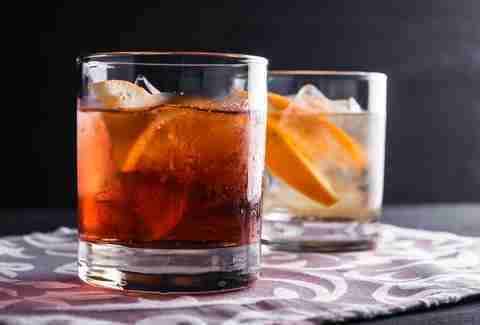 Curb the bourbon blues by switching the liquor in this classic whiskey drink. Opt for an aged tequila to keep the authentic depth and richness of the drink in tact. Stir all ingredients until chilled, strain, and serve straight up.